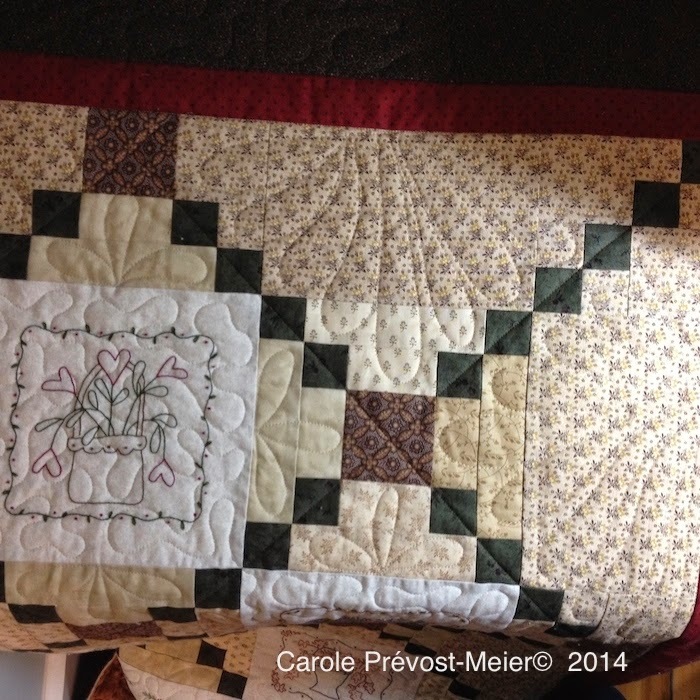 Quilting Adventures: Better late .....! The new block is beautiful, love applique but I seem to make a mess with ones like this, always come out cockeyed. The quilting looks so pretty. Ooooh, Ruby Garden looks so pretty! I LOVE the way those embroidered blocks are set. Are you counting the days now -- less than 2 weeks!!! Your Ruby's Garden looks fantastic, love the quilting.